In Z for Zachariah the world is devastated by a nuclear disaster, but one place remains safe. There’s a small verdant valley, home to ample resources, the potential to rebuild, and a young woman (Margot Robbie), perhaps the last female on earth. In this Eden of sorts, post apocalyptic frontierswoman Ann Burden ekes out a lonely existence with only her dog for companionship. She farms vegetables, fishes in her small pond, and routinely heads into the desolate town nearby to fetch food, and books from the library. 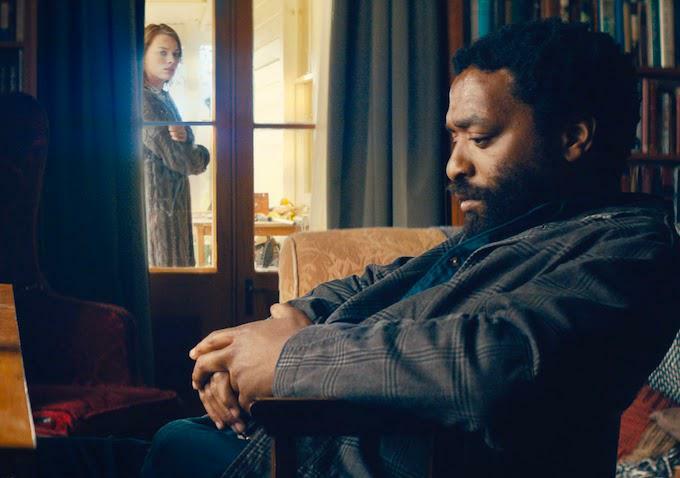 Chiwetel Ejifor in Z for Zachariah. Her life is small in scope, but that changes with the introduction of John Loomis (Chiwetel Ejifor), a scientist who left a secure underground government facility with the hope of finding a better life in the sun. On his arrival he strikes up an uneasy friendship with Ann. She treats him for radiation sickness and provides him with a place to stay, along with food and companionship. John helps out with the farm, and he proves to be a valuable addition to Ann’s life. He has big plans too, and he dreams of harnessing the waterfall at the valley’s peak to generate electricity and make their lives better. But to do so he needs wood and he sets his sights on the small chapel nearby. For Ann, this is a hard decision to make as her father was the local preacher and he built the church himself. It’s Ann’s last link to her past, but it also has the best potential for rebuilding the future. Ann and John settle into a routine, and a nascent love story emerges in the process. 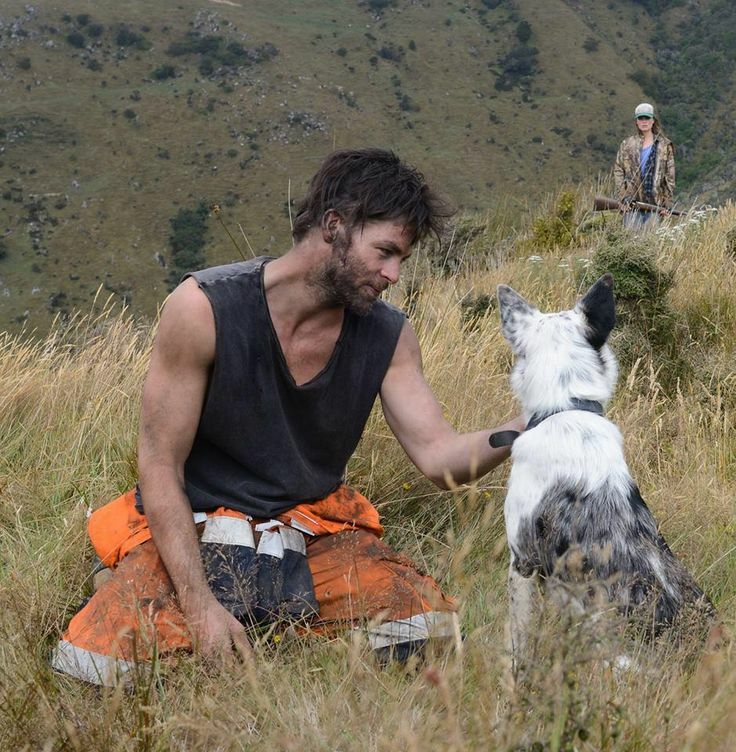 But that’s interrupted by the arrival of Caleb (Chris Pine), a miner who stumbles upon Ann’s valley and quickly falls for her too. From here the film delves into the psychological complexities of jealousy and pettiness as John and Caleb vie for Ann’s affections. The tone of the film changes and it becomes tense and threatening. It’s hard to see how the trio will resolve their differences. Z for Zachariah isn’t a dystopian view of the future, and it’s certainly not an action packed film. It’s similar to Moon (Duncan Jones, 2009) in its meditative consideration of the effects of loneliness, and the negotiations between what the past had to offer, and what the present now holds. It’s a slow paced film, with a particular reliance on the characters to tell the story. But that’s the strength of the film too, and Chiwetel Ejiofor and Chris Pine, provide an excellent foil for Margot Robbie to bounce off. In fact the strongest part of the film, outside of the beautiful cinematography, is the performances. Margot Robbie lends a believability to her depiction of Ann, and her sombre and controlled performance reflects her character’s religious perspectives. She’s restrained, and frequently removed from the sexual tension throughout the story. One of the strongest aspects of the scripting is the fact that we get to know the characters through their interactions with each other. There’s little retrospective gazing, and the trio don’t especially revisit the past, instead they’re defined by who they’ve become in this new world. There’s a hopeful tint to the narrative too, as their little Eden has the potential to harbour life. Through some miraculous twist of fate, Ann’s valley has weathered the nuclear storm, and with John and Caleb’s help they could have electricity, and perhaps they could even thrive. There’s a sense of purity too, Ann and her valley are virginal, protected, and free from the violence and destruction that’s plagued the rest of the world. It adds to the religious tone, and there’s a sense of the Biblical story of Adam and Eve when John arrives. Caleb stands as the forbidden fruit, and his relationship with John has an element of the Cain and Abel story too, with his divisive influence, and the jealousy and pettiness that comes along with his arrival. Accompanied by a strong musical score, Z for Zachariah is a decidedly nuanced filmic experience, that relies heavily on tone to convey its character led story. It’s an effective piece of cinema from director Craig Zobel (Compliance, 2012), and instead of an end of the world apocalyptic tale, this is a love story set within some science fiction genre tropes. The cinematography from Tim Orr is beautiful, and it depicts a corner of the world untainted by human accident or influence. It’s a place where Ann finds a sense of balance, and she farms the landscape sustainably. But it’s also a place of conflict. For Ann, the new world is lonely, but she’s safe from harm. John and Caleb however are damaged by the disaster that destroyed civilisation, and Ann provides them with hope for the future. Unfortunately it’s a future that can’t harbour the pair of them.